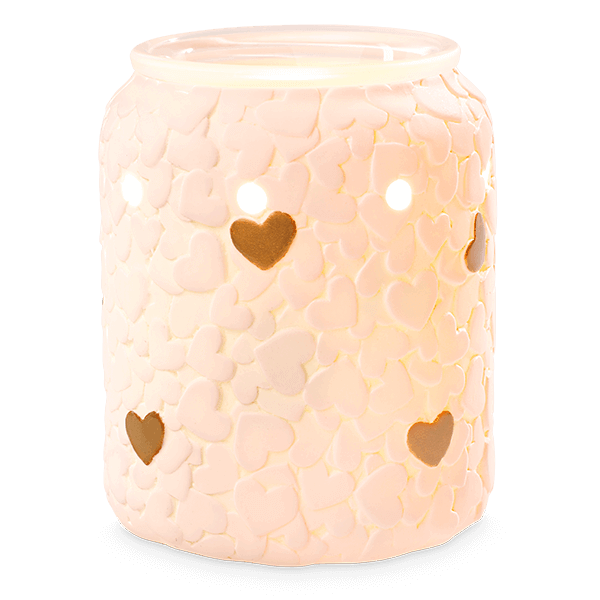 Love abounds warmer is perfect for Valentine’s Day, but also a great way to show off your romantic side with a sea of hearts warmed by a soft, dreamy glow. The gold hearts are even hand painted! Super cute warmer – Simple but full of heart!